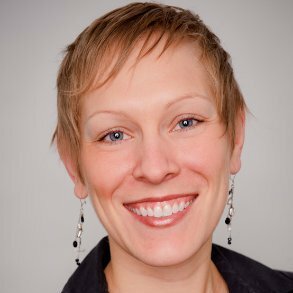 Katie Hepler’s professional experience encompasses more than a decade’s worth of marketing expertise. She currently works for the Dairy Farmers of Wisconsin as a Marketing Director where she leads development and execution of Consumer Farmer Trust strategy, programming and content. She also directs all non-cheese dairy marketing programs, media and content. Prior to moving back to Madison and joining the Dairy Farmers of Wisconsin, she spent ten years working in various agencies in New York City. Her last “stint” was in digital/social marketing at Carrot Creative — the VICE digital agency (now VIRTUE Worldwide) — working with some of the world’s biggest brands including Lipton, American Express and the Malala Fund. As a senior leader, she worked with clients to develop their digital and social strategies, ranging from campaign efforts to brand launches. In addition, she acted as the internal and external cross-functional team lead across client accounts. Before Carrot Creative, Katie worked almost eight years at PR agencies, primarily in Corporate Communications, at some of the world’s most reputable firms including Ogilvy, Ruder Finn and Fleishman Hillard. During this time, she worked to further awareness and communicate companies’ value-add to targeted/broader business audiences for a variety of clients that ranged from Fortune 500 to Micro-cap in a wide range of industries (e.g., professional services, insurance, healthcare, energy, technology). Her efforts included the development of client programming and driving brand communication initiatives to achieve results that laddered back to clients’ business/communications objectives. Katie is actively involved in supporting efforts to engage and connect the Wisconsin alumni community. While in NYC, she was a member of the Big Apple Badger Board (WAA NYC Alumni Chapter) and served as President from 2010-2012. Katie received her Bachelor of Arts from UW-Madison in Journalism and Mass Communication and French in 2007, and her MBA from New York University’s Stern School of Business in May 2015 as part of the part-time program. Her other accomplishments include receiving the WAA Sparkplug Award (May 2012) and co-writing “Stern Women Speak: a position on advancing the UN Global Compact’s Women’s Empowerment Principles” (May 2014).